On Friday, Justin Bieber and Sofia Richie seemingly made things Instagram official and the Beliebers of the world are not impressed. After the Canadian singer and up-and-coming model posted a series of (admittedly) adorable, couple-y photos on the social media app, the hate poured down on Richie. According to Gossip Cop, commenters told Richie to kill herself and claimed Bieber belongs to them, not her. Of course, the comment didn’t satisfy the Beliebers, who took offense to the fact that the pop star called them “fans.” (Are they serious?) As a result, the hashtag #RIPBeliebers started trending on Twitter. Some also felt like Bieber was choosing Richie over them, according to Gossip Cop. One commenter pointed out that Bieber has the option of disabling comments if he doesn’t want to see them (though he shouldn’t need to do that just to avoid abuse from his so-called fans). Unsurprisingly, Richie has already disabled the comments on her own account. A note to all the Beliebers who have a weird ownership complex over the singer: Maybe you should go and love yourselves. 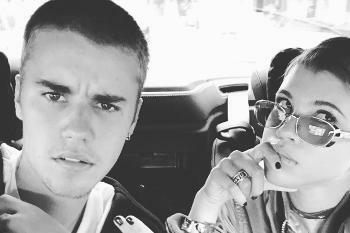 On Friday, Justin Bieber and Sofia Richie seemingly made things Instagram official and the Beliebers of the world are not impressed. After the Canadian singer and up-and-coming model posted a series of (admittedly) adorable, couple-y photos on the social media app, the hate poured down on Richie. According to Gossip Cop, commenters told Richie to kill herself and claimed Bieber belongs to them, not her. Early Sunday morning, the Biebs addressed the haters on Instagram, writing, ..